Please have your child dressed and ready to swim at scheduled time. Consistency is the key. Please try not to be absent from any swimming lessons. A swimming lesson cancelled due to rain or inclement weather will be rescheduled at no charge, subject to availability. If you need to cancel a swimming lesson, please notify swimming instructor at least 24 hours prior to your scheduled start time. Swimming lessons cancelled without 24 hour notice will not be rescheduled and will not be refunded. At the time of registration, please inform us if your child has any medical problems, disabilities or exceptionalities. 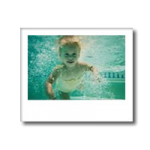 Check with your pediatrician regarding eardrops for the prevention of ear infections (swimmer’s ear). Please apply waterproof sunscreen 30 minutes prior to swimming lesson. Please secure long hair in a ponytail to prevent interference during the swimming lesson. Please have your child use the restroom prior to swimming lessons. As a parent it is your job to be positive, consistent, and persistent. Before, during and after swimming lessons clap, cheer and encourage your child. Your child will copy your behavior and attitude. Try to ignore any crying, acting out or temper tantrums. Reinforce the positive. Give praise and then more! Have patience. Children learn at their own pace. Talk with your child about their lessons. Let them show off their new skills. Practice as much as possible between lessons to reinforce skills and increase confidence. Make swimming a fun and safe experience.